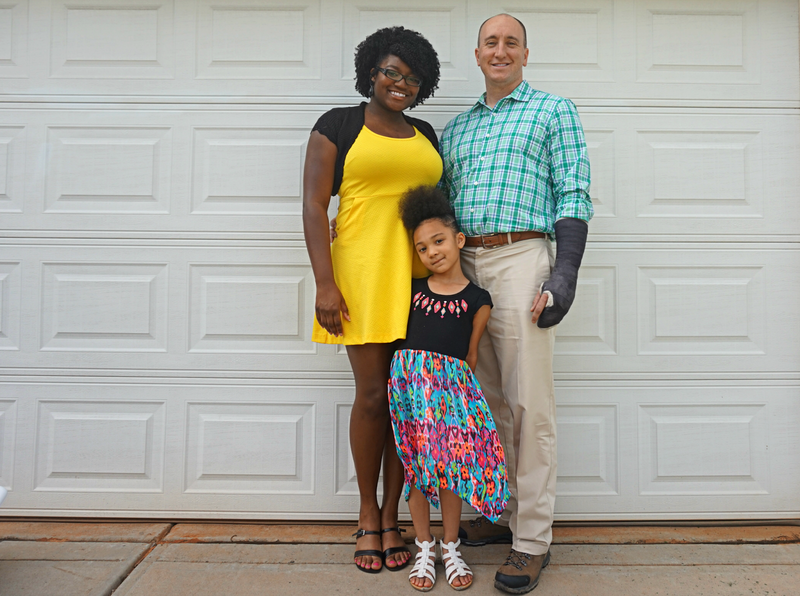 A/N: This is a sponsored post written by me on behalf of Iris by Lowe’s, however, all thoughts, and opinions truly belong to me. Hope for the best, but prepare for the worst. This is a rule I have always lived by. It can be applied to every aspect of my life. Parenting. Work. Writing. And, of course, personal safety. Last year, I remember watching the news in horror as a stay-at-home-mom was attacked by a home intruder. The thing that truly struck me was the timing of the attack. It was broad daylight. She lived in a seemingly safe suburban neighborhood. And she even had a security camera. What scared me the most is that I found that I could check off every single item on that list as well. Watching that incident unfold left me feeling incredibly uneasy. As a work-at-home-mom, I had always assumed that working from within the confines of my home was somewhat safer. Watching that 45 second clip of a woman fighting for her life made me realize just how easily that could have been me. Invest in a security system: Throughout the course of the year, our family has incorporated more smart and safety tech into our home. Most recently, we added the Iris Security System by Lowe’s. Iris is a DIY smart home security system that can keep your home secure and connected with a single app. It is currently one of the most affordable ways to provide peace of mind and keep your loved ones safe. One of the main reasons we love it so much, is that it’s a contract free system that you install yourself based on your needs. However, should you feel you require additional monitoring, for $14.95/ month, you can enroll your system in a professional monitoring service plan. Best of all, it works with more than 100 smart devices, including: sensors, switches, plugs, keypads, locks, thermostats, alarms, and garage openers. In addition to the security system, we also have the Iris Wireless Plug that allows us to control our device from anywhere in the world. 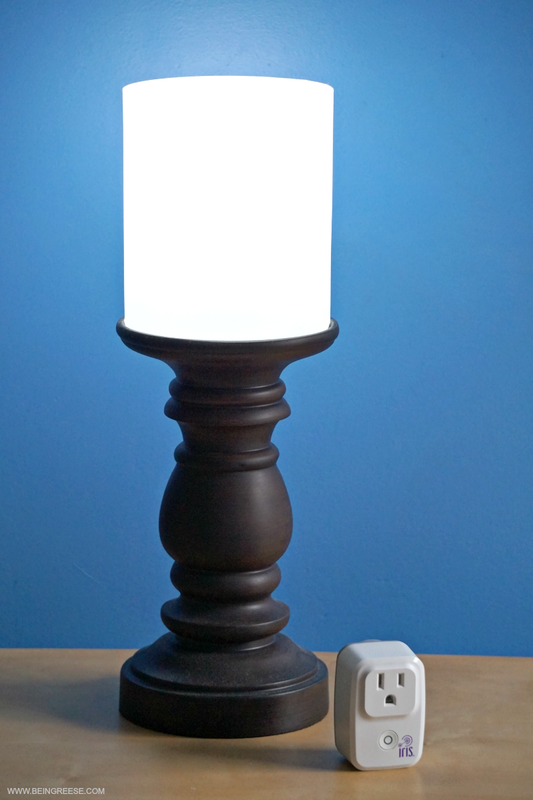 We have ours hooked up to a lamp, which makes it easier to toggle your lights on and off when you're away, giving your home a "lived-in" look. That’s what I like to call a win-win-win. Get to know your neighbors: A few weeks ago, I got an unexpected phone call from one of my neighbors. She was calling to let me know my garage door had been open for the last hour, and she was concerned because this is not typical behavior for me. Try to talk to your neighbors and get to know them on a personal level. You’d be surprised how having a casual conversation once and a while makes them a bit more forthcoming about the coming and goings in your neighborhood. A strong sense of community leads to a more informed and safer neighborhood. Which is good for everyone. Get a family pet: Criminals look for easy targets. 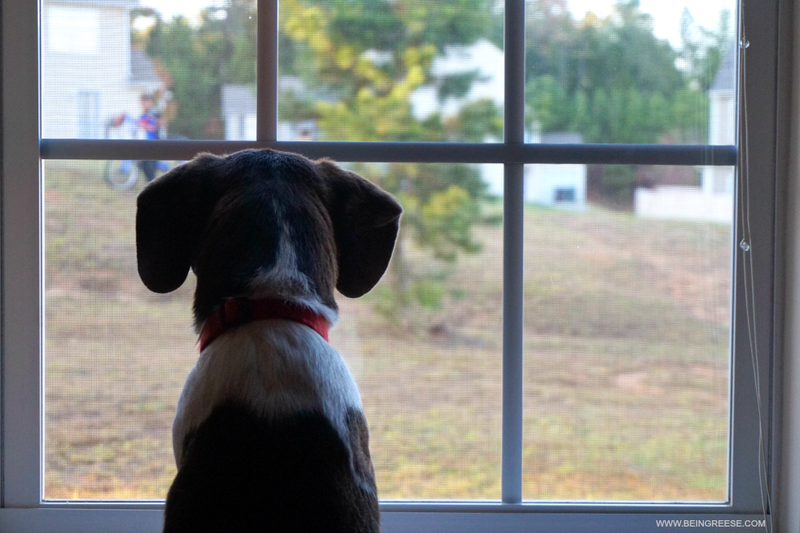 Having a dog can be the first line of defense by making your home less of an easy target. Dogs are loyal, sometimes to a fault, and nothing will deter a would be criminal quite like the boisterous sound of a large dog with sharp teeth. Don’t leave a spare key outside: It’s basically a calling card for criminals. Most buglers watch their victims before they go through with their plans, so you risk exposing your key-hideaway to potential criminals every time you need to access your key. Instead of hiding a key, consider investing in a keyless lock that can be controlled with a code or cellphone. This is a much safer way to ensure that you don’t find yourself accidentally locked out of your own home, and it cuts down on the likelihood of someone gaining access to your home. Park your car out front: Did you know that the most common time for break-ins is from 6 am- 6 pm? Most criminals choose these hours thinking that no one is home. So, if you work from home, you can decrease the odds of a home invasion, or burglary by simply parking your car in front of your home to give it a lived-in look. 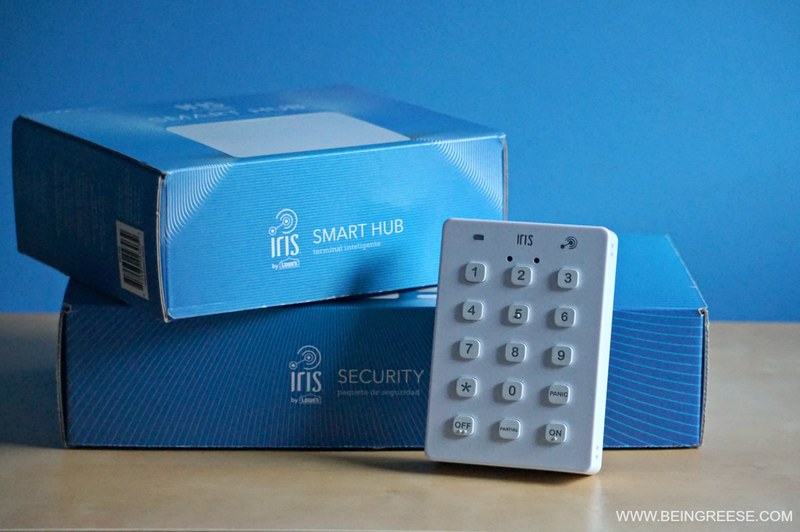 Of all the things we’ve done to secure our home, the Iris Security System has been one of the most important. 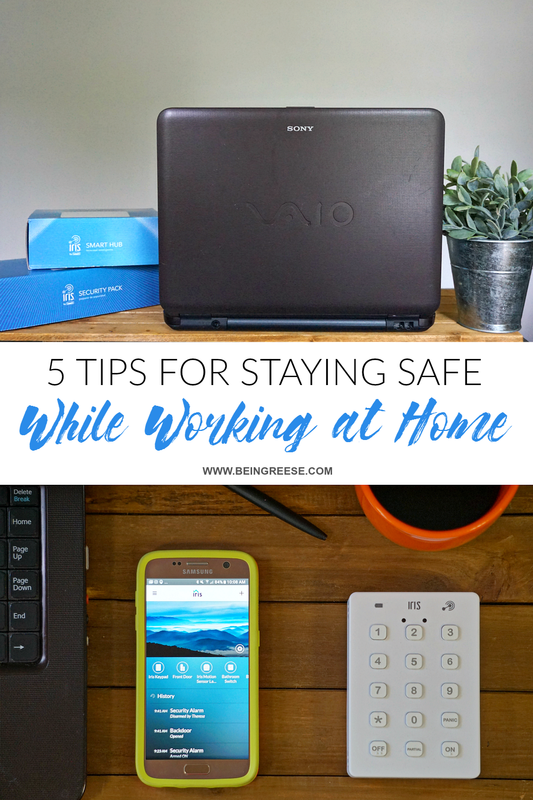 As a family that is always on the go, it’s reassuring that no matter if we’re home, or away, we can keep our home and what matter most safe from intruders. Interested in checking out the Iris System yourself? Head to the Iris by Lowe’s Website and use the code MYIRISSECURITY for 10% off your Iris Security System and Smart Hub. Offer valid 5/30-6/29. While you’re there, be sure to take a look at the other smart devices they offer. Do you have any home safety tips you want to share? Feel free to comment below for a possible feature!